Burkina Faso - As Burkina Faso’s dry forest landscapes come under the dual pressures of climate change and land-use change, REDD+ has been introduced as a possible solution for people and the environment. The scheme aims to reduce emissions from deforestation and forest degradation, while supporting conservation, sustainable forest management and enhancement of carbon stocks. Social safeguards are also part of the deal, promising a fair distribution of benefits among local communities. More than half a decade on since the country began readying for REDD+ in 2011, how are communities splitting the benefits, and what has it meant for their livelihoods? These are some of the questions raised in a recent study by the Center for International Forestry Research (CIFOR). The study finds differences in how women, men and youth are benefitting from REDD+, as well as among different ethnic groups and sectors of work. “It’s necessary to invest in research that explores all the contours of REDD+ benefit-sharing in order to understand the profitability and equity of different mechanisms,” says CIFOR scientist Hermann Kambiré, who led the study’s four-person research team. The research team conducted eight focus groups with local communities in the REDD+ pilot areas. These took place in the villages of Bissandérou in the rural commune of Tchériba, Etayou in Oury, and Dangouna in Bana, where industrial mining is ongoing. In each village, the focus groups sought to examine how benefit-sharing is implemented among three groups: women, men and youth. “The specific objective of the focus groups was to investigate the endogenous revenue-sharing mechanisms already practiced within their communities, and highlight the different risks that arise from them,” Kambiré says. In general, the researchers found that group income is first pooled in a single fund before being divvied up among group members and general community funds. For example, female woodcutters first combine their total revenue, then put half aside for group necessities – 9.1 percent goes to the working capital fund, 27.3 percent to development and 13.6 percent for cutting permits. The other half is proportionately distributed based on how much wood each woman has cut. Male cotton producers similarly pool their money before distributing payment proportionally among members based on their individual production, and allot other amounts for community needs. Youth were found to be in a different situation again – often standing in for adults as informal workers, young people do not have the systems that older women and men have in place for sharing the benefits of their labor. Money management patterns were also found to differ between groups according to ethnicity, sector of work, or the ability of the group to reach a consensus. For example, woodcutters use their communal funds partially as investments for future income – such as buying a grain mill, or the tools and animals to begin poultry farming – or to take care of various other issues, such as repairing infrastructure or improving schools. The money is stored in a chest kept by one woman and its key by another. Cotton producers, meanwhile, use their group funds to make trips to other villages or save for emergency situations. In the mining areas of Dangouna and Bana, the situation was different again, due to conflicts with a mining company, and the local government exacerbating the problem rather than mediating appropriately. “Through interviews, we found that the people living in Dangouna suspected that their local authorities were corrupt, while the mining company perceived a lack of willingness among local people to reconcile,” says Kambiré. This has resulted in the local population being relocated into housing that is inadequate and doesn’t reflect their habits and customs, monopolization of cropland and lack of sufficient compensation, nuisances such as air and noise pollution from the close proximity of the mine, and damage done to the community’s social fabric. The study concludes by identifying a number of risks that benefit-sharing mechanisms must seek to avoid. Within local communities, caution must be taken to ensure that favoritism and exclusion doesn’t come into play when funds are being dispersed and that there’s proper management of group funds and fair decision-making processes. As seen within mining communities, things get a bit more complicated when government and external players come on the scene and financial management is taken out of the hands of local residents. This raises issues of corruption and transparency of authorities, monopolization of group resources, insufficient compensation, social disruption, and disproportionate wages paid to administration and authorities at the expense of everyone else. 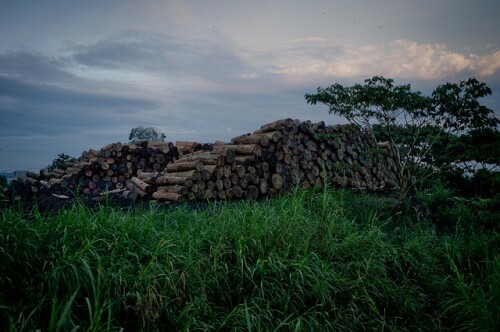 “These scenarios must be vigilantly taken into account, as they could impede the efficient and equitable implementation of REDD+ and its benefit-sharing components,” says Kambiré. He notes that more risks and challenges are likely to arise and need to be taken into account. For now, the study helps to set a baseline, its findings providing a solid sketch for the full picture of local financial management in Burkina Faso.